Well, that was quite a cliffhanger, wasn’t it? I, for one, didn’t see it coming, but it only made me look forward to next Saturday’s episode even more! What a start. It was quite a straightforward plot that, despite the sobriety and tension that took place in Skaro, offered some lighter moments thanks to Capaldi’s comedy chops (I honestly think we need to exploit those a bit more this season, to counterbalance his so-called grumpiness – which I personally love). 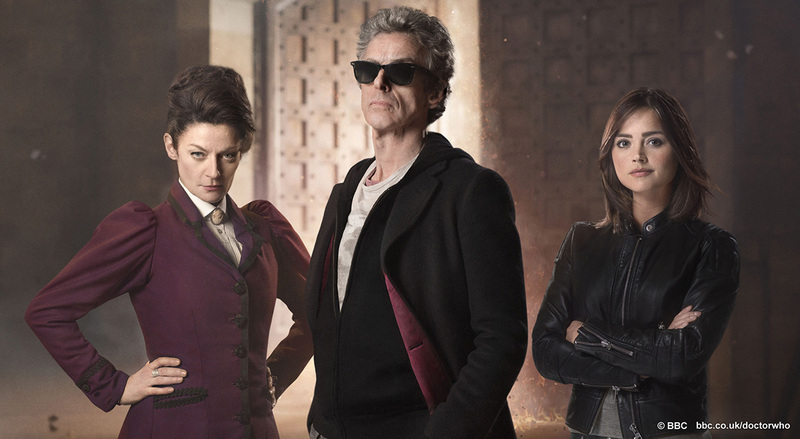 Of course, no one thinks that Clara is dead, or that Missy is also dead or that the TARDIS has been destroyed. Ha! We will just have to wait in anticipation for the resolution in ‘The Witch’s Familiar’. I can’t really write anything else at the moment, I’m just too exhilarated by the Doctor’s return! -Kudos to the make-up department! That Colony Sarff guy’s face was impressive. -So many throwbacks to things past. The Shadow Proclamation, Tom Baker. Love it. -And allusions to things to come this season! Just like series 8 premiere. What’s it with the book shop? -Was that Capaldi actually playing the guitar? He just got himself some extra points. -Those checked trousers were very First Doctor-y. I liked bits of the show but the Rock Star Doctor wasn’t one of them, just didn’t seem to fit…but I’m in the minority. Loved seeing Missy back(Michelle Gomez rocks) and Davros and the Daleks were properly scary again..well maybe just Davros-the Daleks always seem like pissy children. I thought PC was very good throughout. 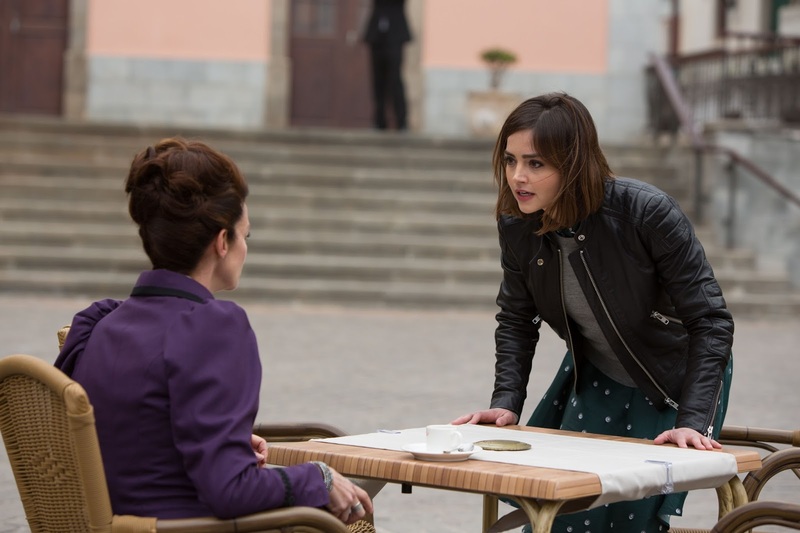 Glad to see Clara go because it seems now she is a proper Mary Sue. Great teacher, sudden Unit leader, etc. Awaiting next week to see how Missy and Clara live. I thought the check trousers were more of the 2nd Doctor? And did the Doctor somehow get to change his pants before heading of to Skaro? I like the “gumpy” Doctor too, but like him to have a softer edge behind it. Don’t let him come across as a jerk, but he can still be tetchy. I wonder if the bookshop will be a hint at something for the rest of the season. It’s been announced River Song is back in the Christmas special, maybe instead of a bookshop we get to see her depart for the library? I thought they were a mixture of the First and Second Doctors (you never know with B&W footage 😛 ) I thought the same about the pants change! Missy stole the show, even beating out the Doctor’s totally over-the-top, rock star performance at the “axe” fight. Very punny choice of weapons. “Tank you,” Doctor. I was thoroughly entertained by the episode, and that’s all I ever really ask of Doctor Who. Trying to make a lot of logical sense from events detracts from my enjoyment.